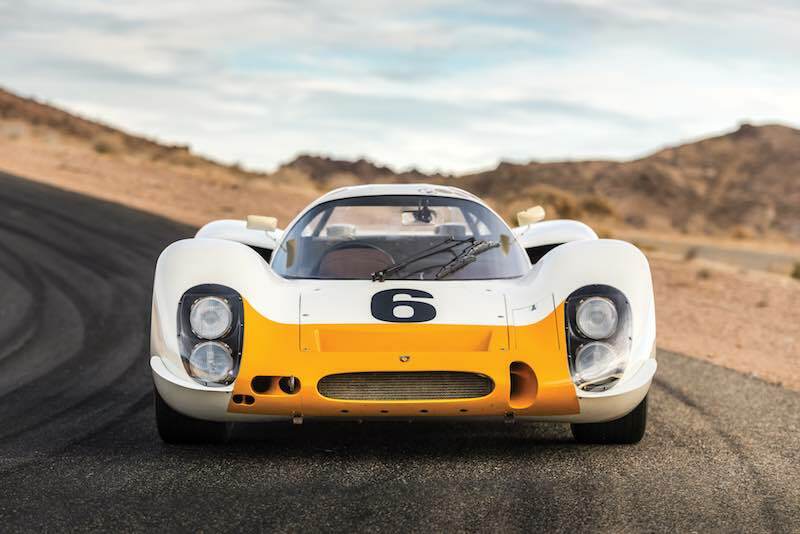 A 1968 Porsche 908K Coupe is an early entry for the 2018 RM Sotheby’s Monterey sale, set for 24-25 August at the newly renovated Monterey Conference Center in Monterey, California. 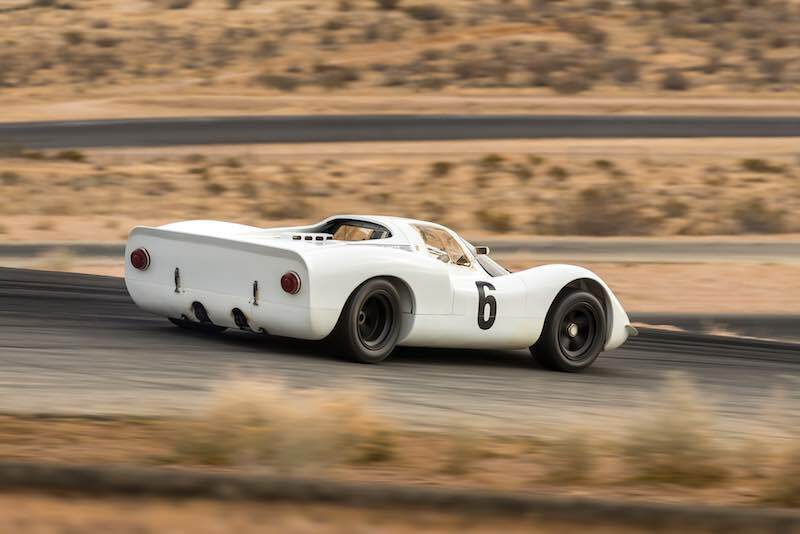 The Porsche 908 Works ‘Short-Tail’ Coupe set for the 2018 Monterey Classic Car Week, chassis 908-010, was one of the first iterations of the 908 and one of a mere handful of ex-Works short-tail prototypes surviving. Often referred to as a 908 K or “Kurzheck” (German term for “short-tail”), the Porsche is powered by a 3-liter, flat 8-cylinder 908 engine producing 350 hp, and is one of two ‘sister’ cars (908-010 and 908-011) introduced by Porsche System Engineering as a Works entry at the 1968 Spa 1000 KM race. Chassis 908-010 was entered at Spa as number six and piloted by Vic Elford and Jochen Neerpasch. As was often the case at this particular race, the drivers battled with the elements. Elford drove the first 32 laps, leading on multiple occasions, before Neerpasch took the wheel. Unfortunately, the wet track led Neerpasch to slide off the track just two laps in, causing an accident and forcing the car to be retired from the race. 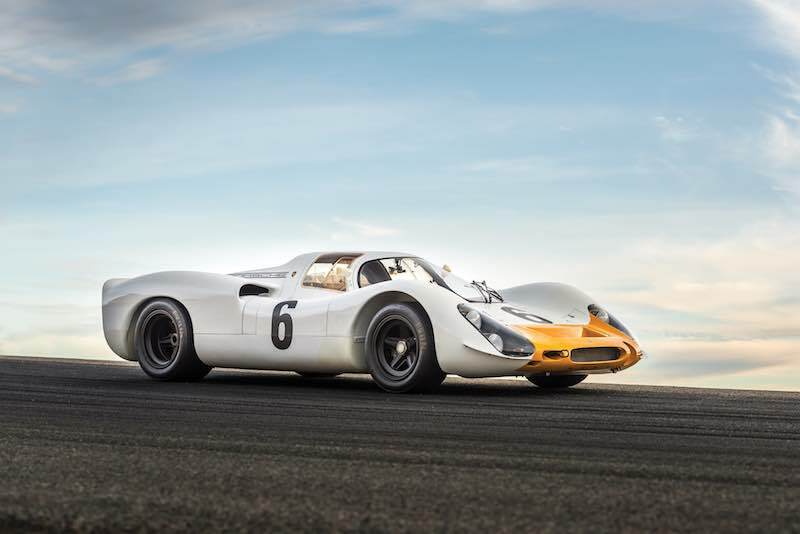 908-010 would not race again for the factory team and was sold to private hands in Switzerland where it sat in storage for more than two decades. In the late 1990s, Dale Miller, a Porsche race car expert and former PCA historian, discovered the car in Switzerland and brought it to the United States, where it was sold to Bill Ferren. 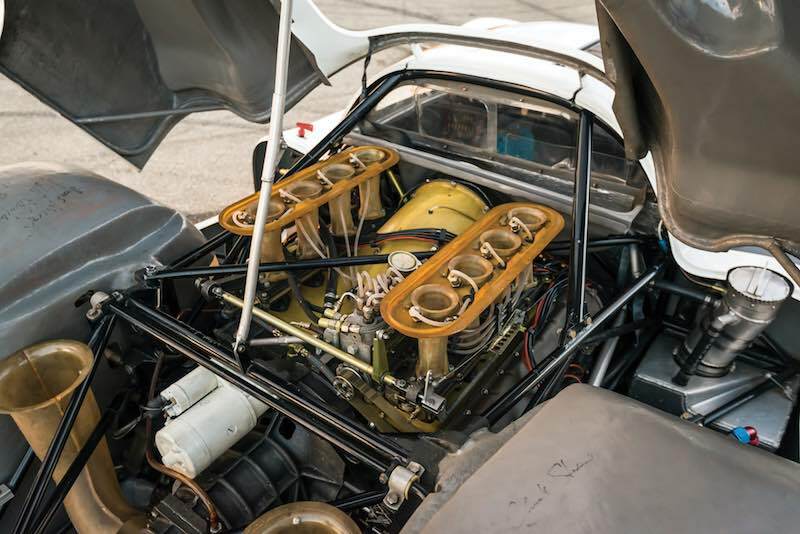 Ferren oversaw a complete restoration by prototype expert John Corsen, who prepared the car in time for the 2004 Rennsport Reunion at Daytona. Under current ownership for the last 12 years, the 908 ‘Short-Tail’ Coupe has participated in numerous vintage events on the West Coast (including Rennsport Reunion II, II, IV, and V) and was featured in the Porsche By Design exhibition at the North Carolina Museum of Art in 2013-2014. 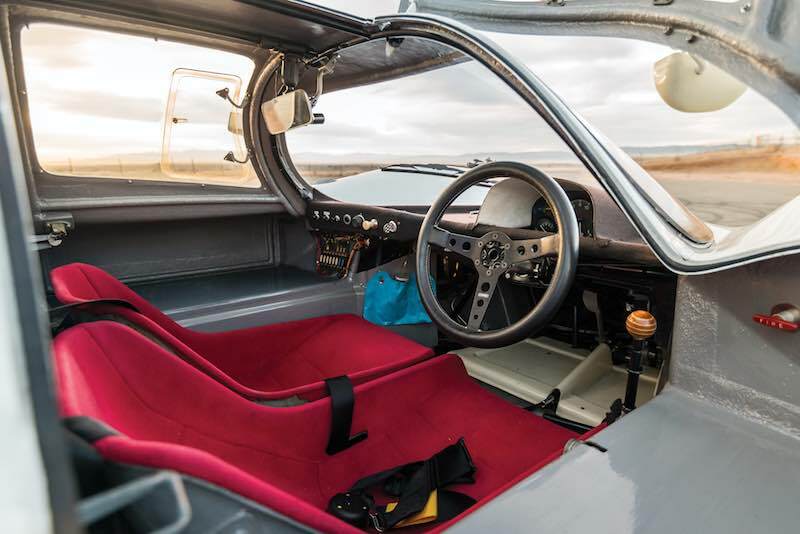 The car retains its repaired original chassis, as well as a fresh, recently serviced factory 908 engine and is offered at Monterey ready for the concours field or its next vintage racing event (Est. $2,300,000 – $2,800,000). Held during the Pebble Beach Concours Week, RM Sotheby’s 2018 Monterey auction will present more than 100 motor cars in the ultimate collector car destination. For further information, visit rmsothebys.com.